The 2019 Perinatal Behavioral Health Initiative Conference was held in Helena on April 2-3. The two-day event highlighted the Perinatal Behavioral Health Initiative grantee cohort’s accomplishments in 2018 and provided resources and training for the second year of the initiative. Alex Meyer is Chief Operating Officer of CompDrug, a large Opiate Treatment Provider in Ohio. Alex holds a Masters in Applied Psychology, and has over 15 years’ experience in health services programming and research with private non-profit organizations. Prior to working at CompDrug, Alex worked at Nationwide Children’s Hospital as Director of Infant Mortality and before that Arkansas Children’s Hospital in their child health services research group and Battelle’s public health research group. Dr. Rick Massatti is the State Opioid Treatment Authority at the Ohio Department of Mental Health and Addiction Services. Over the last 17 years, he has worked on substance use and mental health research, policies, and programs. He is coordinating the efforts to bring new Opioid Treatment Programs into the state, update the OTP administrative code, and implement a workforce development strategy to increase interest in medication assisted treatment. Dr. Massatti also has been an advocate of coordinated healthcare for drug-dependent pregnant women as part of the Maternal Opiate Medical Supports project. Joan Kenerson King has worked in health care for nearly 40 years in a variety of settings. At this time she consults with states, regions, foundations and organizations around the country in developing integrated systems of care that focus on whole health and wellness. 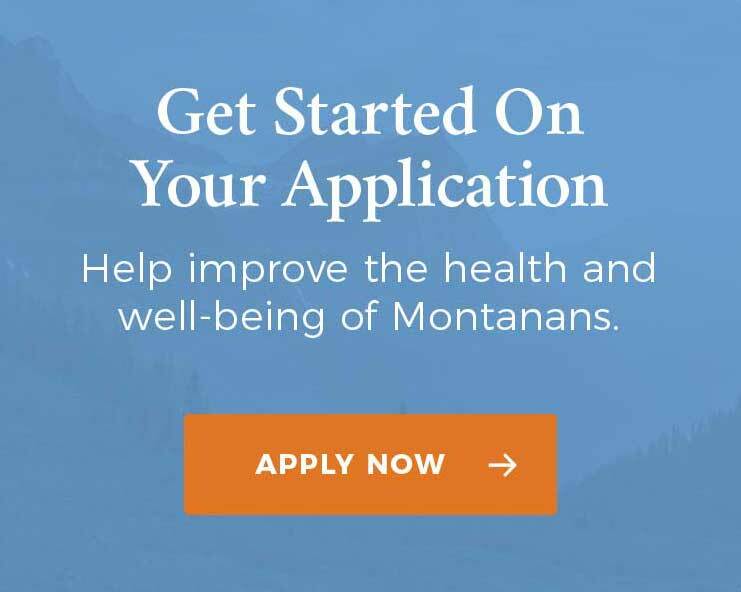 She has been working with the Montana Healthcare Foundation for the past three years providing technical assistance on their integration grants and now is the technical assistance provider for the perinatal grants. Pam has more than 20 years’ experience designing and implementing programs to integrate behavioral health and primary care services. Her work includes the Reducing Adolescent Substance Abuse Initiative funded by the Conrad N. Hilton Foundation, DIAMOND a depression care management program that received the 2010 Gold Award from the American Psychiatric Association, and Partners in Integrated Care funded by the Agency for Healthcare Research and Quality. She is a Motivational Interviewing trainer and is listed in the National Registry of SBIRT Trainers from the Addiction Technology Transfer Center (ATTC) Network established by SAMHSA. Stephanie was born and raised in St. Ignatius, Montana. After adventures in Eugene, Oregon and Seattle, Washington, she decided to return home in 2014 to help her family with several small businesses. She earned her MSW at the University of Montana and puts her skills and passion to work as the Program Manager at HMHB. She most enjoys meeting, learning from, and serving folks from across the state in her efforts to improve the lives of kids and families.